Zendesk Support is one of the best customer support applications for businesses of any size. It offers not only a solid ticket management options but also a strong suit of applications to handle emails and website enquiries, as well as live chat support and social media. For users who use Zendesk Support for e-commerce, it also has well over 600 possible integrations with 3rd party applications and software platforms. 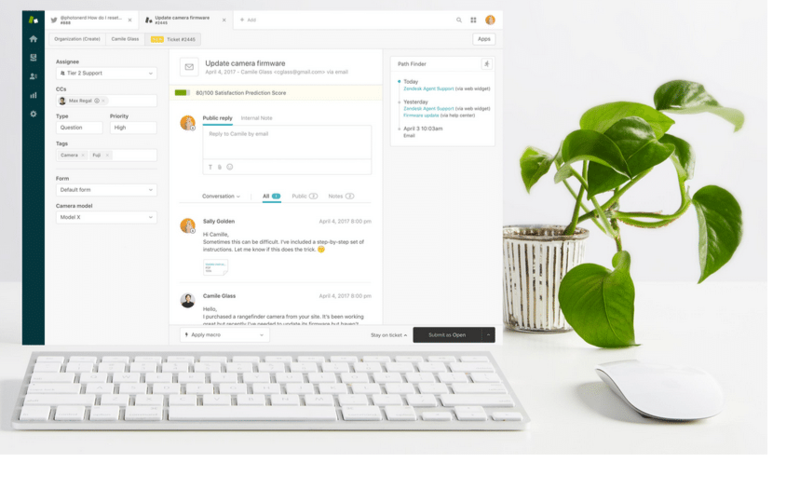 Similar to other help desk software on the market, Zendesk Support features a customer queries management system with chat, a call center and a knowledge base for self-help. By consolidating a variety of customer interactions into a single user interface, users can seamlessly sort through everything to locate the information they need. On some of the higher pricing tiers, users can also access support in multiple languages. Additional perks include more ticket forms, more advanced analytics, and data center location options. Zendesk Support is perfect for businesses or any shape and size, due to its flexible pricing structure. Small and medium sized businesses can access all the necessary customer support tools with just the basic support suite, while larger enterprises will enjoy the more advanced tools and options. 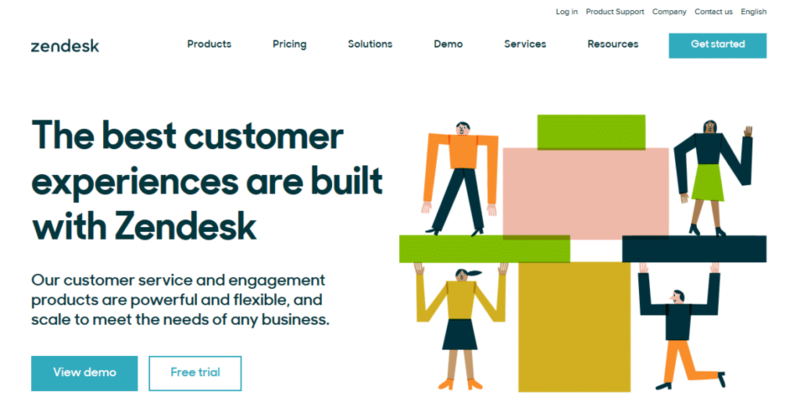 Zendesk Support has five pricing tiers, each of which includes more customization and tools. Essential Tier – At $5 per agent per month, this plan offers basic customer support tools including email and web channels and basic customer interaction history. Zendesk’s customer support is extensive. Support is available via email, phone, live chat, training programs and support tickets. Zendesk Support also has a sizable library, featuring a large number of guides, advices, troubleshooting, FAQ’s and a robust community forum.